Hi there everyone! Alisha here with two very simple cards for the Masculine card challenge. I made both cards using the Hero Arts stamp set called “Stamp your own Fruit“. This stamp set is great for quick out the door cards. 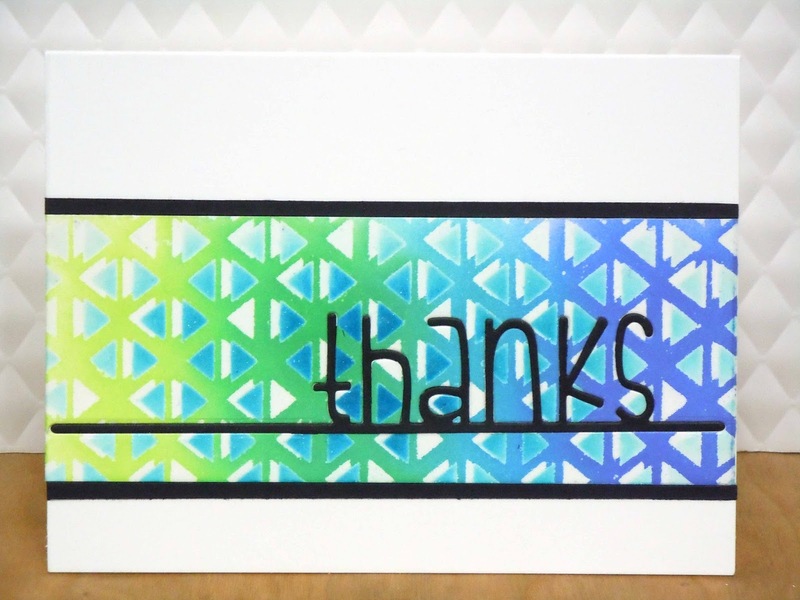 I think this thank you card would be perfect for delivery men, mail men or any man who helps you out! Hope you can join us and share your Masculine cards for a chance to win a prize from the ever awesome Hero Arts!! When you’re ready, the link is up at the top right of this page. Hello, everyone! 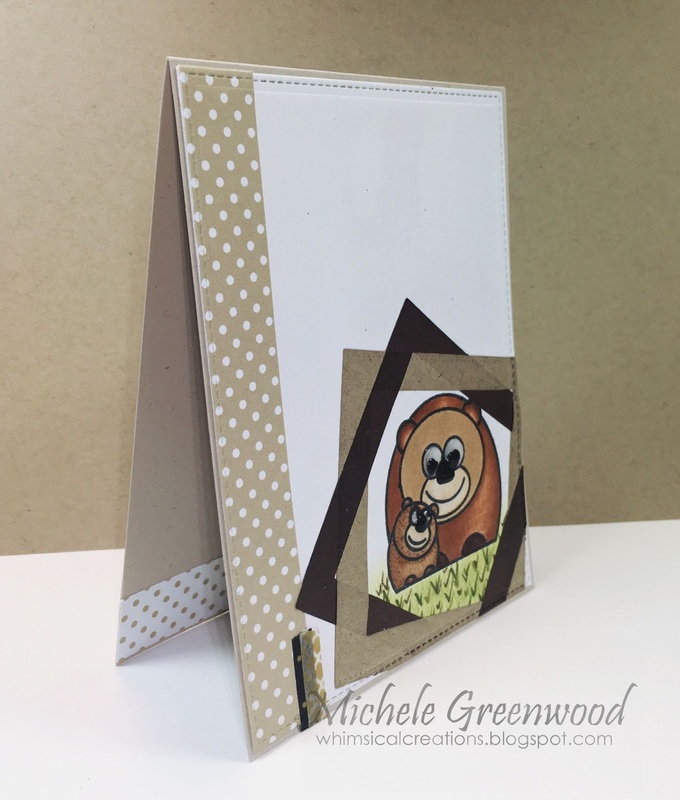 Michelle Lupton here today, to share a card I have made for this month’s challenge theme, which is “Masculine”. 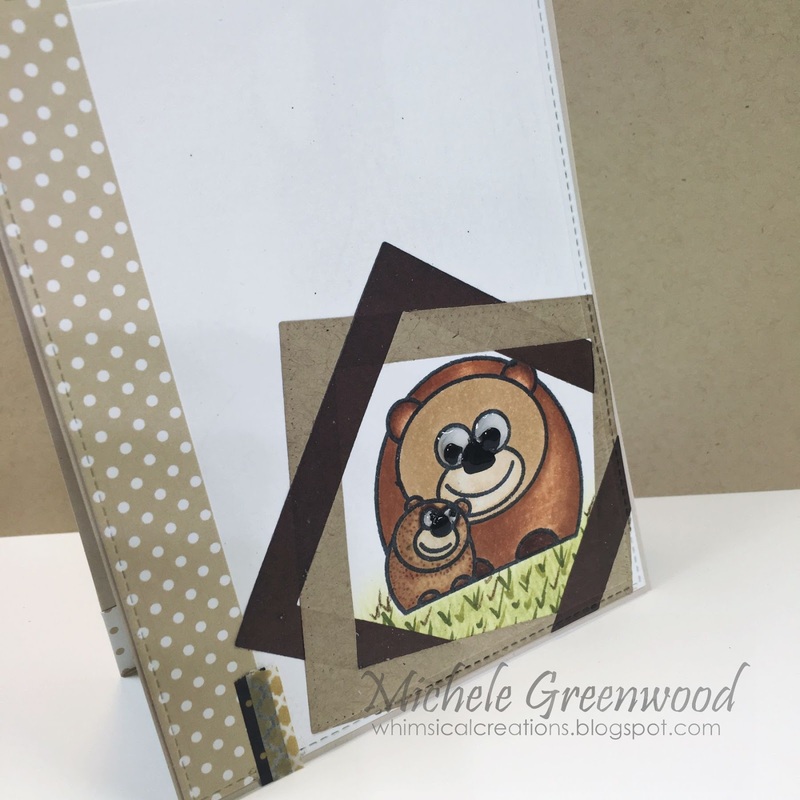 Now, I am just like a LOT of card makers – I struggle with masculine cards. But the Triangle pattern stencil from Hero Arts made my job that little bit easier. 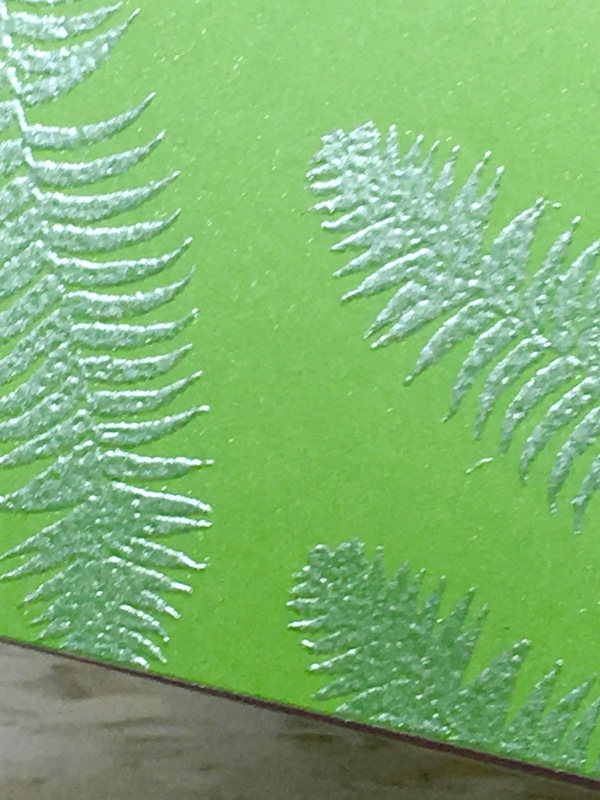 I fixed the stencil above my white cardstock, and used an ink blending tool to add some Mermaid Lagoon Distress ink – stronger in the middle, fading towards the edges. I then cleaned my stencil before putting it back exactly in the same spot to add some Versamark ink over the top of the coloured triangles and clear embossed. I then moved the stencil and added more Versamark and clear embossed again. 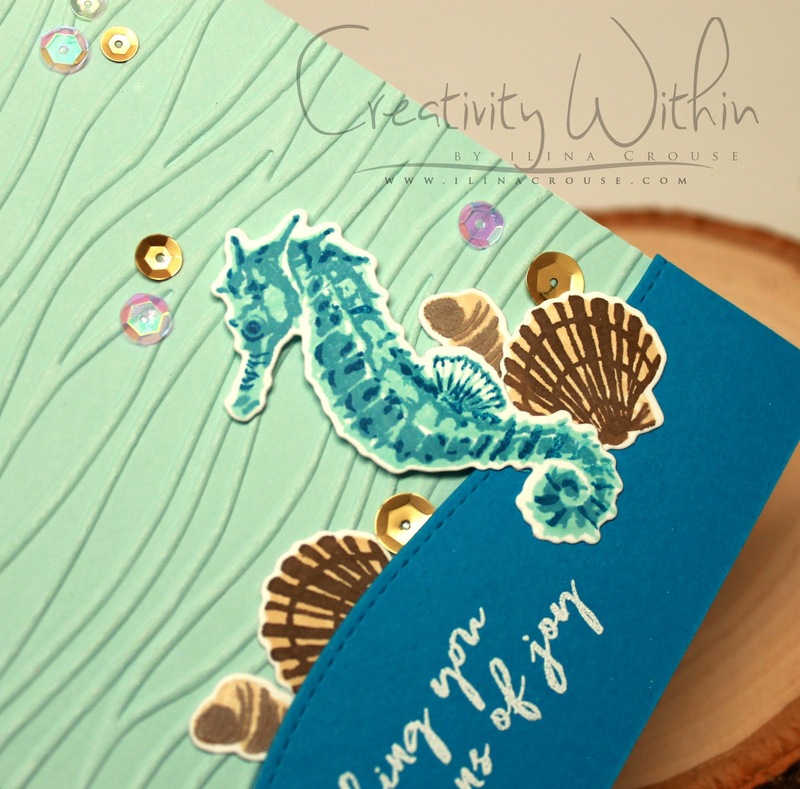 I then added more Distress Ink in Twisted Citron, Lucky Clover, Salty Ocean and Blueprint Sketch over the top of the embossing. This gave a dimensional, layered look to the pattern. 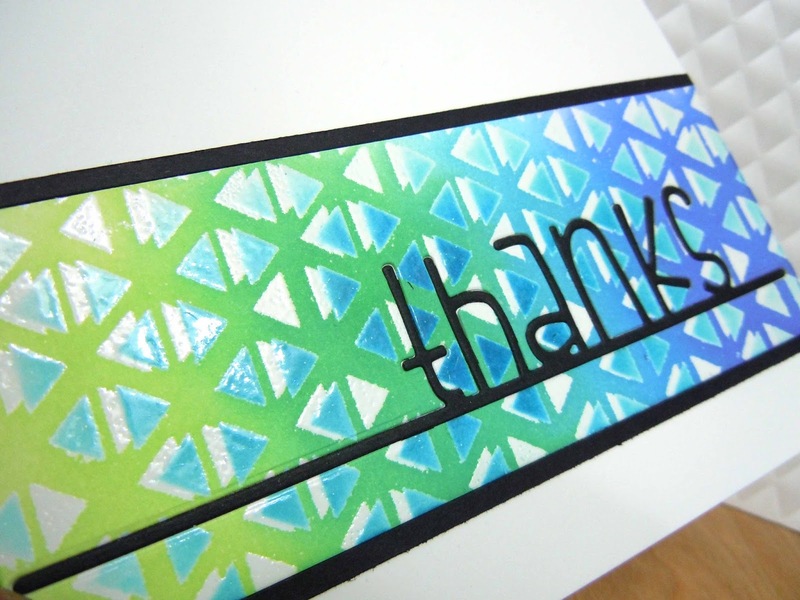 I then took my “Thanks on a line” die from Simon Says Stamp and cut it out of my patterned piece. I also cut a piece of black card and cut it with the same die and used it to create and inlaid die look. I affixed it all to a white card base and added a strip of black top and bottom, and I was done! Have you entered our challenge for July yet? We are so excited by who our sponsor is this month – it is the one, the only…. Ilina’s here today! As you may have noticed this month we have ALL Hero Arts month, and the challenge is to create Masculine project. 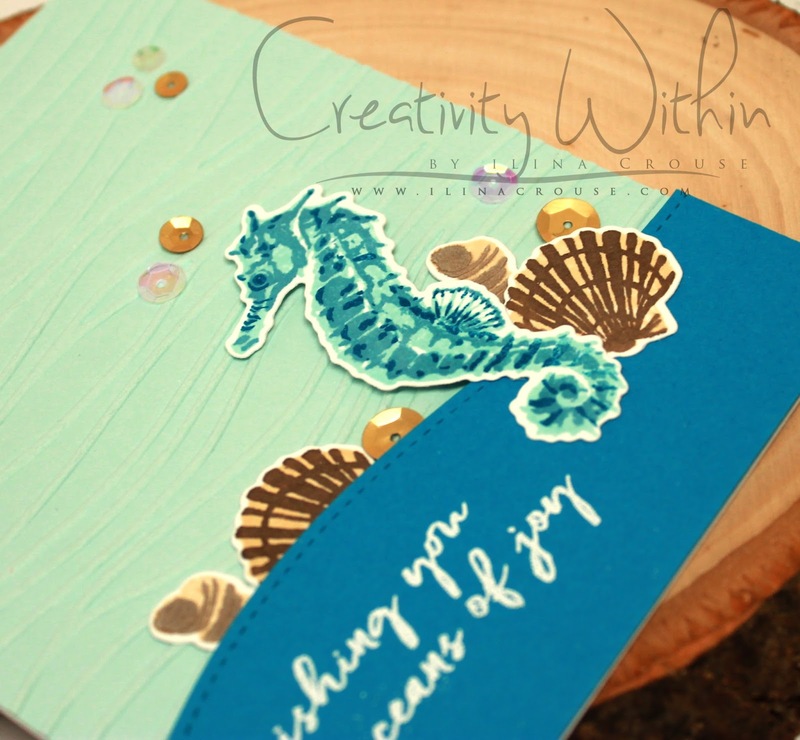 This time I decided to use the Color Layering Seahorse stamps set for my card and kept the color scheme masculine. I die cut and stamped bunch of the elements (when I make cards with die cut images, I tend to stamp a lot of extras for future use). Then I cut and embossed a Sea Glass panel and cut a bottom part from Island Blue. 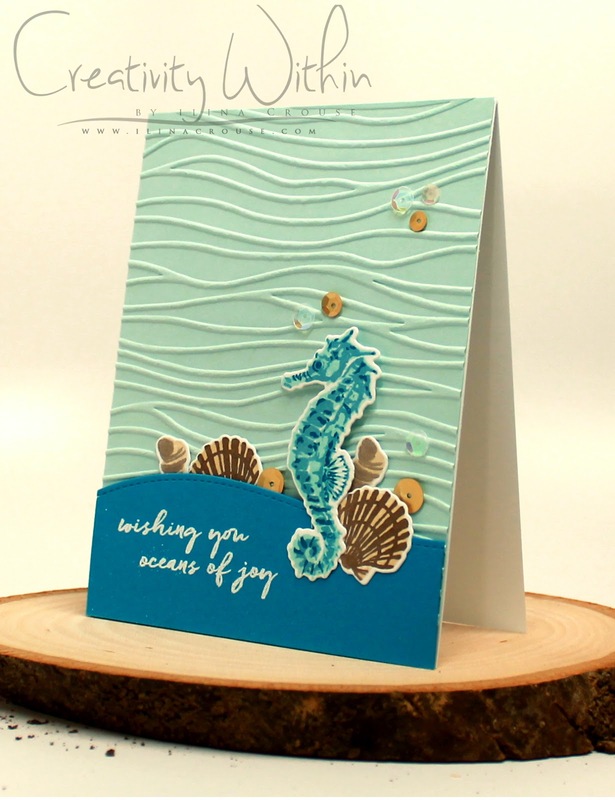 (the waves embossing folder is from Stampin’ Up!). Next I stamped the sentiment in Versamark and embossed with White Embossing powder. To finish my card I adhered my panels to white card base and then arranged and adhered all the elements! I recently needed to make a sympathy card and it tied right in to our current challenge. Masculine cards can be hard to make. My trick is to keep it simple, because they won’t notice the extra embellishments, ahem. Also, I try to use more masculine colors and stamp images. 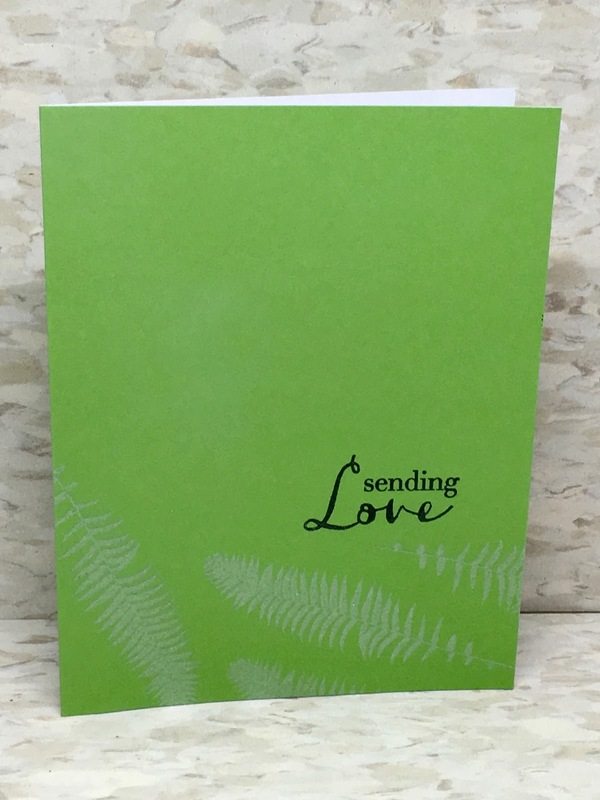 This was just some simple embossing on a notecard from Hero Arts. Actually, everything on this card is Hero Arts, which is perfect, since they are collaborating with us this month and providing the prize for our challenge winner! This is a close up of the silver pearl embossing powder. It looks really neat on colored card stock.